Featuring the market’s highest storage capacity for its size, the LaCie Rugged USB-C gives you enough space to store your digital present—and future. 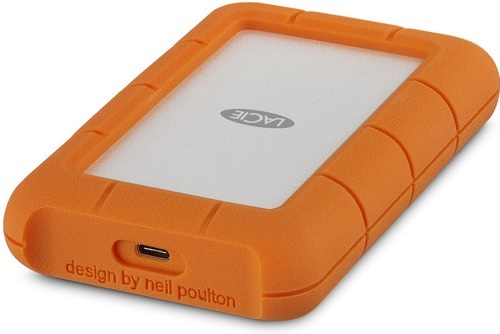 Massive capacity lets you use the LaCie Rugged as a shuttle drive to transport footage from set to post-production or to store a huge Lightroom library. access, the LaCie Rugged USB-C is tough enough for extreme conditions—from a sudden rainstorm to a crush of suitcases in an airplane cargo hold.